Wow, what a great idea! One-Setup Training Sessions gives you complete sessions all built around ONE setup diagram! With the same setup of cones and goals for each drill, you can rapidly transition from one drill to the next, giving you more time to coach and players more time to practice..
Do you find there’s never enough time in training? That too much time is wasted setting up drills, which eat up 5, 10 or even 15 minutes of time that could be better spent practicing? Well, we’ve got the perfect guide for you. 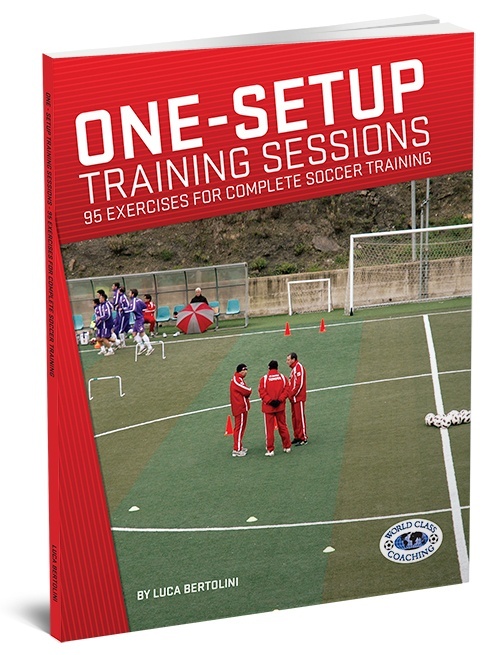 One-Setup Training Sessions – 95 exercises for complete soccer training, features a collection of complete training sessions divided into four stages. Each session begins with a warm-up before transitioning to two technical drills and ending with a small sided game. The beauty of the concept is that only ONE setup is needed. This saves valuable minutes and keeps players active the entire session, instead of waiting for each drill to be setup. One-Setup Training Sessions frees you to run training with a minimum of fuss and maximum time on the ball. What’s more, players will love how the drills build in intensity with the finale of a small sided game at the end. Setting up drills can eat up a lot of time. First you have to remove the cones, goals and anything else you’ve arranged from the previous drill. You’ve then got to make sense of the setup plan before instructing players where to put the cones, goals and other things they just removed. And that’s before you’ve even explained what to do. Every minute you save on setup is an extra minute for your players to be perfecting their touch, technique and improving their fitness. These minutes add up to a lot of time over the course of the season. And this is what makes the concept in One-Setup Training Sessions so powerful. One-Setup Training Sessions also includes drills for different shaped pitches, such as rectangular and triangular, different techniques and progressions for raising the challenge and intensity. So whether you coach youth teams or senior players, One-Setup Training Sessions gives you more time to gain bigger improvements from every session. Luca Bertolini is a youth academy coach in Italy. He has been coaching players of all ages for 14 years. Bertolini started his career at Gs Mercury, Parma, coaching players from U6 to U18. After 13 years at the club, he then became a coach at Asdb Langhiranese 1928, training the U14 team, where he continues to coach today. Federation certifications), as well as the Coerver Coaching diploma and he currently attends clinics across Italy. In his spare time, Bertolini runs a popular soccer exercises blog – lucamistercalcio.com. 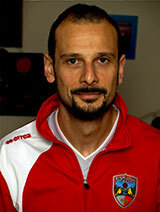 He also writes about the modern approaches to soccer for prominent coaching websites and Italian soccer newspapers. One-Setup Training Sessions provides you with complete sessions, from start to finish. The beauty of these sessions is that only ONE setup is needed. You then run drills using the same arrangement of goals and cones while being able to work on multiple techniques throughout the session. Each session is divided into four parts. They start with a warm-up, then progress to a drill involving multiple players, such as a 3 v 2 passing or tackling drill, shooting practice or technical dribbling. Each session then ends with a full team drill, such as a small sided game or large shooting practice session, using the entire pitch. Each session features diagrams for each drill, instructions on how to run them, how to progress them to raise the challenge and tips on what to watch out for to gain the maximum performance improvements from every session. The drills in One-Setup Training Sessions will enable you to run entire sessions with maximum practice time and minimum time wasted. The revolutionary concept enables you to smoothly transition from one drill to the next very quickly with almost zero setup time in between. The result is that players get more time to practice and you gain bigger improvements from every session. One-Setup Training Sessions is the creation of a youth coach who wanted to adopt a pragmatic approach to getting the most out of every session. But with the included progressions, you can easily raise the challenge and intensity for senior players so they can also benefit from the one page structure concept. 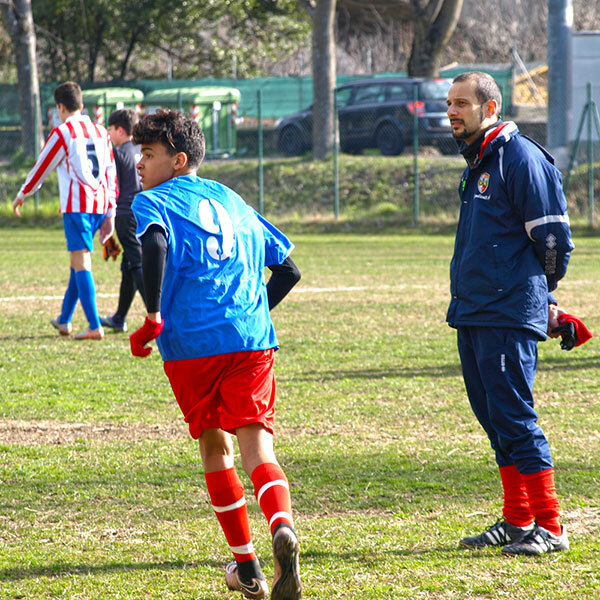 WORLD CLASS COACHING is recognized globally for the quality of its soccer coaching resources, which are used by over 60,000 soccer coaches from around the world. We wouldn’t be offering One-Setup Training Sessions unless it achieves our exceptionally high standards. However, if you are not 100% satisfied with the quality of One-Setup Training Sessions after six months of implementing its small sided games and exercises then please contact us for a no quibbles refund. Players want to be practicing with a ball at their feet. Not standing around waiting for each new drill to be setup. So they’ll be delighted to arrive at training to discover that the entire session’s setup has been completed already and they can focus on improving their skills. One-Setup Training Sessions is a really fantastic set of drills, both for the time saved and the variety of drills in each session. This includes ‘Athletic Sessions’ for building stamina, ‘Triangle Shaped Pitch’ drills for passing and ‘Square Setup’ drills for all round technical improvements. 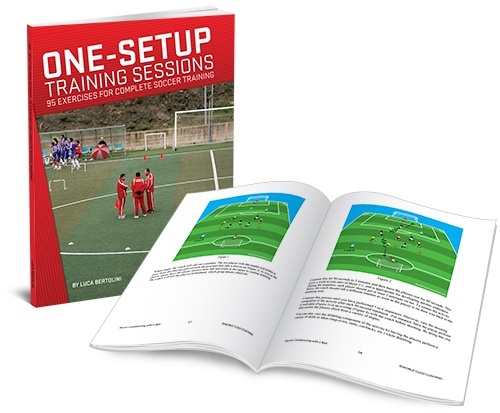 So if you’re ready to start saving up to 15 minutes per session you can use to give players more practice time, get your copy of One-Setup Training Sessions now. P.S. One-Setup Training Sessions features complete sessions that have only one main setup arrangement. You then run drills from warm-up to small sided games using the same setup, saving up to 15 minutes per session to focus on coaching and improving technique. P.P.S If you are not 100% satisfied with the quality of the soccer coaching resources in One-Setup Training Sessions after six months then we will refund your purchase in full, no questions asked.